As I get ready to send my 5-year-old boy to kindergarten, I also get to start the journey over again….with a new baby! I’m currently 11 weeks pregnant (due right around Christmas! ), and couldn’t be more excited to welcome a sweet SpanglishBaby into our home. This will be our fourth child in total, but our first child together. I feel fully prepared for the pregnancy and birth itself, but as we all know, having a newborn in the house brings a different set of concerns altogether. Ironically, the part I’m most thrilled about is also strapping me with anxiety: making sure this child is also bilingual. We have become so used to speaking mostly English in our home, since my son gets his Spanish at his father’s house and my stepdaughters reinforce theirs at church, with their abuelos, and at school. 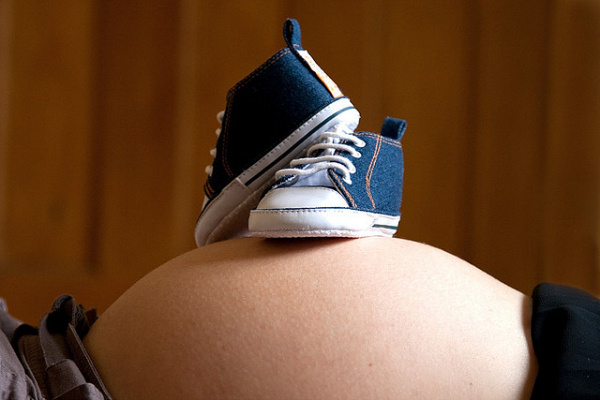 It will be an adjustment to speak more Spanish in general, and especially to the degree of exposure that a new baby will require. My husband and I have discussed the many ways we could approach it, and have decided to try the One Parent One Language method — he will speak Spanish and I’ll speak English to the baby. Although I’m confident that this will be effective, I’m apprehensive about the new rules we’ll have to remember to follow. In addition to sticking to one language each, we know that we need to have more Spanish in our house in general to compensate for the English our child will be hearing from his/her siblings. So, my husband and I are also going to try speaking exclusively Spanish to each other. This will be a 180-degree switch for us, since we currently only use Spanish with each other when we’re around Spanish-speaking friends and family. I guess it’s always been more comfortable for us to have our private conversations and daily exchanges in English, so it’s going to take some effort to change that. Of course, a new life is always worth the sacrifices and changes we parents make! I anticipate that we’ll have to get a head start and try switching to Spanish in the coming weeks, because our Navidad baby will be here before we know it. Perhaps the hardest part of the language transition will be stepping back a bit from Spanish myself. 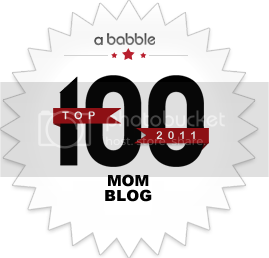 I know that it is best for a little one to hear native speakers, and since I’m a native English speaker and my husband is a native Spanish speaker, we need to stick to those languages, respectively. However, it bums me out a little that I won’t be able to exercise my Spanish skills with my child until we have established a pattern and decide it’s okay to deviate from that occasionally. I spoke only Spanish to my son for nearly three years, so it may be a tough reality to use English with my new bebé. My only exception is reading: I can’t see myself giving up Spanish bedtime stories with either of my kids! Hopefully the strange mix of ages, language use and schedules in our home will only serve to make our busy life more fun. Do you have any suggestions for making the switch to OPOL or speaking to your spouse in your second language? Congratulations Chelsea! que emoción y que alegria otro bebe! I wouldn’t speak any English to my new baby, they will learn it anyways! Gracias, ladies. I wish it were as simple in our home, but since all of our kids are back and forth between our house and their other parents’ homes, we can’t be quite as strict about speaking only Spanish at home (especially with my preteen stepdaughters, who would be very resistant). We have to do the best we can and adjust to our children’s choices and outside exposure, but also consider the needs of a newborn who will never leave on the weekends. Es muy complicado! We’ll see if we stick with OPOL or find a way for both of us to speak only Spanish to the baby. Felicidades! Having a baby is very exciting. I read what you wrote about the 1 parent 1 language method, and even though I agree with it (being a Spanish teacher with an endorsement in bilingual education and ELL), I would think about how much time your baby has with you vs. Daddy. Daddy might not be around enough in the beginning to give the amount needed. 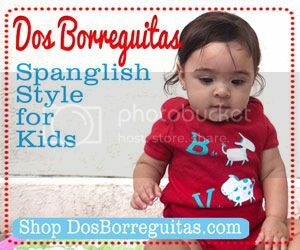 You might want to think about being a Spanish speaking home and then as the baby gets older and more and more English is introduced, ease into Daddy being the predominant Spanish speaker (sort of like having your own home dual language program). The baby is going to get plenty of English, it is really the Spanish that you will have to fight for. Buena suerte! Felicidades!!!!!!!! So happy for you! I only have one child, so don’t have the best advice, but thinking it would be great to also include your kids in the plan. It will definitely be hard for them to speak to the baby in Spanish, but it could be something that becomes a family goal to all “practice” their Spanish with the baby. Good advice, Ana. I’m sure the kids will be open to speaking to the baby in Spanish, but as time goes on, the new little one will hear them speaking English to each other and I fear that exposure will win out. I agree that the person who will spend the most time with the new baby should do OPOL in minority language! If that’s you, do it! I have a DIFF family makeup as well. Oldest 3 are from prior marriage to English-only speaker. (Ages 19, 14, 12.) I did not do OPOL and I truly regret it! And they tell me all the time! I was not confident in my language skills and mistakenly thought it would do them a disservise…. My youngest and the only nena is 5, and although her dad and I get along well, I have raised her majority time in my home, and using STRICT OPOL. (They all go alternate weekends w/dads.) Since her brothers have been in school full days since her birth, it was just me and her. I started this off thinking I would not be able to keep it up for too long, but to my pleasant surprise, MY Spanish has thrived since her birth! (when I use to struggle!) 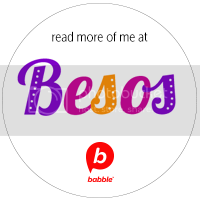 It will be WAY easier to speak to your newborn solely in Spanish, than to switch to all Spanish with your hubby! Your brain has settled into your communication style and it will be TOUGH to break it! But with your new little one, if you set the pace to Spanish, it will stick! I study daily and now am committed to stay in majority Spanish throughout her life! Our home life is definitely unique… the boys and I speak English to each other, yet she and I stay in Spanish… They are actually learning Spanish from US at this point! And she translates for them all the time. I enrolled her in immersion school to be sure she gets the academics, which I didn’t get in Spanish as a child.. I hope it works out for you! Buena suerte! We may end up deciding to do that, but as I mentioned in comment below, that would be a reversal of native languages for us. I know that I could keep up the Spanish with a baby (since I did it once before), but I definitely don’t have the breadth of vocabulary that my husband has and it may end up being a disadvantage for the child. Whatever we do, it’s going to be imperfect and muddled a bit because of all the coming and going of the other kids. At least we have Spanish-speaking family members who can help out with Spanish exposure. I’m a little confused about logisitically how the child will get sufficient exposure to the language if your husband is the only one speaking to the child in Spanish and I’m assuming he isn’t a stay-at -home dad. If all of the kids in the household understand Spanish, wouldn’t it be better to just speak Spanish and if they prefer to respond in English fine, but at least their hearing it and hearing the conversations between you, your husband and the younger ones who are less likely to be resistant? I’m asking because, it does sound pretty complicated and many friends I have, who have used OPOL in the US, are only really able to ensure their kids understand the second language, but they aren’t realy more than passive bilinguals. Plus, by doing it that way, there is a lot of pressure on your husband to speak only Spanish to the child, but he maybe is getting the spousal support, so if he isn’t 100% committed all the time it won’t happen, but you are bilingual and have the ability to supplement that exposure. My husband isn’t a stay-at-home dad, but only works part-time. He will be around quite a bit. That being said, it will be difficult to expose the baby to Spanish. The issue is that we piece things together as of now. The kids read books, listen to music, and watch movies in Spanish, but don’t speak it unless they are around Spanish-speaking grandparents or other family members. We were going for OPOL because of the native accent concern: we want the baby to hear more Spanish from him because he’s the native speaker. I’m afraid that if we don’t do OPOL, we won’t entirely be able to keep up the minority language at home either (since the other kids speak so much English), and then we’ll end up doing no method at all and Spanish will not be a priority. The more information that you have given, the more convinced I am that you should just go for a Spanish speaking house (and when the kids visit and come and go, you continue to speak Spanish and let them expose the baby to English). I’m not a native speaker either, I speak exclusively to my kids in Spanish, and they get their supplemental native exposure from their grandma who watches them twice a week. They are exposed to English through cousins whom they see often and they still get plenty of exposure there. They will get the English, no worries there. Give them as much exposure to Spanish as you can. And no plan is perfect. Just do your best. Don’t stress out over English speaking siblings or else you are going to end up giving up before you try. Si se puede!